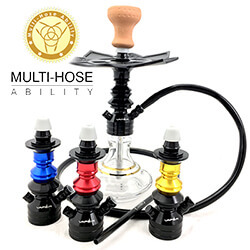 The 2 Hose Hookah is a step up from the traditional one hose version of the Hookah pipe. 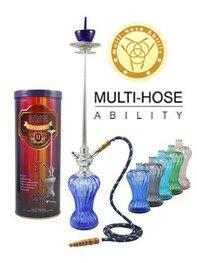 2 Hose Hookahs allow for two people to share the hookah at the same time. They're great for smoking in pairs or small groups! 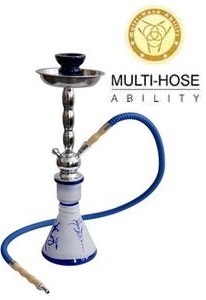 A 2 hose hookah lets you and your friend each have your own hose. 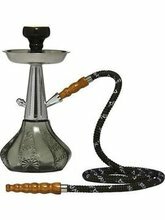 SouthSmoke.com has high quality 2 hose hookahs for sale in a variety of styles and sizes. Check them out and enjoy the flavor with a friend! 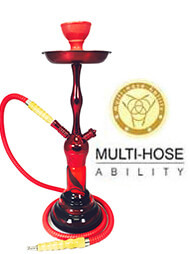 A two hose hookah offers you a smooth smoke that you can enjoy with others. 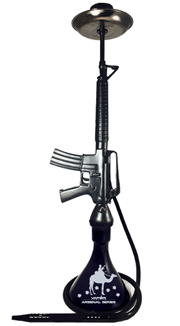 Its big appeal is that you can smoke without having to pass the hose around. Many have found this single feature an irresistible convenience. 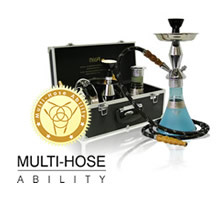 A two hose hookah lets you make the most of each hookah session, with maximum enjoyment possible for each smoker. 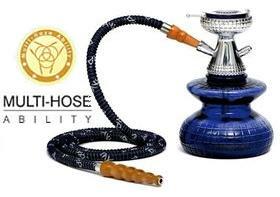 Please note that two hose Hookahs allow the users to smoke one after another, but not at the exact same exact time. 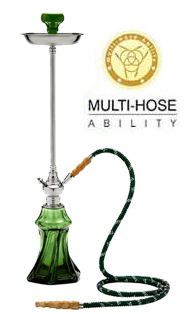 Most 2 hose Hookahs feature an auto seal system that automatically seals the extra ports when one of the hookah users is not smoking. 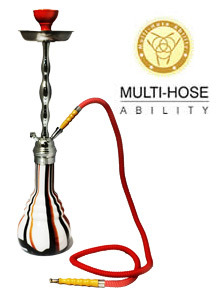 This allows for a smooth transition between each hookah smoker. 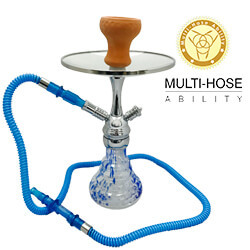 Many two hose hookahs may be converted to a one hose Hookah by utilizing a pressure release valve in place of the hookah hose adapter port. 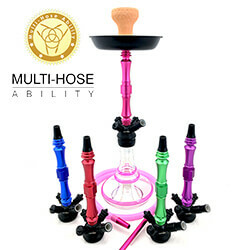 2 Hose Hookahs can usually be converted into 3 hose and 4 hose capable hookah models depending on the flexibility that the hookah model may offer. 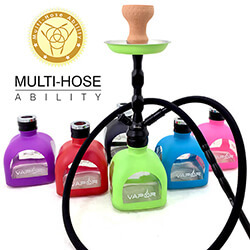 Vapor Hookahs is a popular manufacturer of 2 hose hookahs. 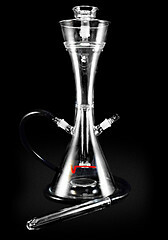 Vapor specializes in glass hookahs, and theirs are among the best on the market. 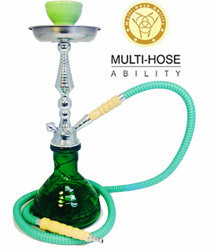 Both soft glass and all glass hookahs are available in two hose configurations. 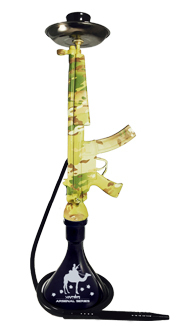 Hookah vets and beginners alike love Vapor for their sleek designs. Order one and see for yourself! 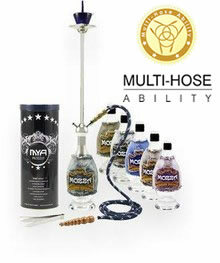 Mya Saray is another major 2 hose hookah brand. These exquisitely designed pieces feature durable glass vases in a variety of interesting shapes. 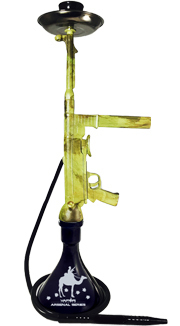 Some people have been known to keep Mya Saray hookahs as art pieces. 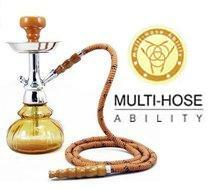 That doesn?t mean you can?t enjoy yours as a functional 2 hose hookah! Give one a try today. At SouthSmoke.com, we give you the options to make a purchase you're comfortable with. 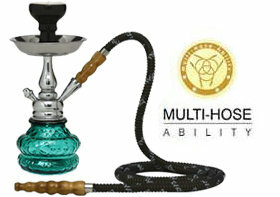 Make sure to browse the many different hookah configurations when deciding on your next hookah purchase.